With so much going for the country it’s no wonder the scuba diving in Samoa is yet to make a name for itself. A culturally rich independent nation of the South Pacific, having all the true beauty of a tropical paradise, locals wearing smiles from ear to ear with laughter of conversations, bird calls and breaking waves being the backing track to this country. Made up of two islands, Upolu the main, where you will no doubt start your journey in the capital of Apia, and Savai’i, the more remote neighbour. A 3.5 hour journey from New Zealand and five from both North America and Australia, Samoa sits in isolation but is nonetheless a jewel in the crown of the South Pacific ocean and a country not to be missed. When should I visit Samoa? Samoa has a tropical climate ranging between 28-30c plus high humidity. As with tropical temperatures come balmy waters, never dropping below 27c even in ‘winter’ meaning diving in Samoa can easily be done all year round. The cyclone season however runs from November to the end of March bringing a bigger than average amount of wet weather with it and increased swells, meaning potential loss of visibility due to run-off from the land into the water. But really, every opportunity to dive in Samoas tropical waters is a good opportunity. What is the scuba diving like in Samoa? Expect impressive visibility starting around 30 meters all the way to 85 meters on good days, with the average being around 60 meters. There is the opportunity for diving in the passes, colourful reef dives, craggy canyons, deep blue drop offs and night dives. 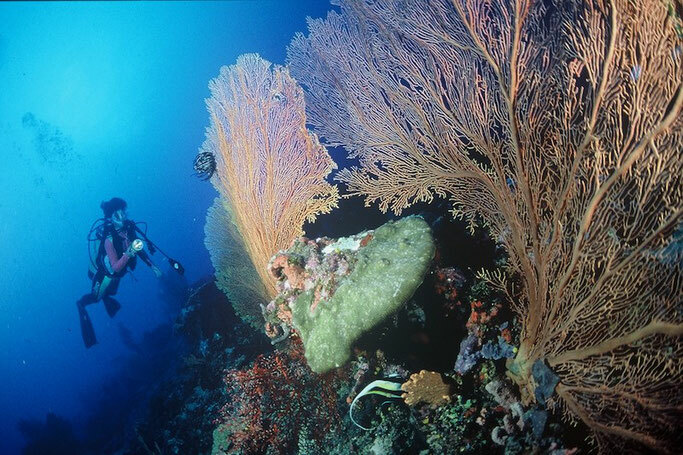 The majority of the dives because of the reefing are walk-in shore dives. Difficulty is completely up to the diver but the vast majority aren’t more than 25-30 meters. A highlight of diving in Samoa, you will be diving in a very small group with the area to yourself with so few diving companies. Diving in Samoa there is a fantastic push on marine conservation because of the worrying slow decline of the coral variety thought to be due to the warmer waters brought by el nino winds. Despite this the islands have clocked in at 200 coral varieties in there waters. With this still incredibly diverse selection of corals 900 fish species are attracted to the Samoan waters, including pelagic and reef fish alike. You can expect to see many larger fish and mammals, spinner dolphins, turtles, eagle, spotted and sting rays lining the sands and relaxing close to the corals and reefs of Samoa. Whales are also a feature in Samoa and if you are lucky, between the months of August and October you many even get a chance to see humpbacks heading to the warmer waters of the South Pacific to breed. How much does it cost to dive and travel in Samoa? Samoa, considering it is a country in the South Pacific is incredibly cheap, so it goes hand in hand, diving in Samoa is also incredibly cheap! Meals: Simple budget meals, head where the locals eat and you can pick up a meal for $4-6ST. A nice, but basic sit down meal is $15-20 ST. If you a wanting a nice meal out, drinks included they are then catering to the tourist price budget which is around $50-70ST. There is plenty of options to choose from in the main town of Apia and often heading to the accommodation out of town an evening meal is included in the price of the room or apartment. The only option to head to Samoa is via flight. Apartments: Starting at $80 ST with the average price being around $150 ST.
Hotels and resorts: $180ST upwards. Fales: These are unique to Samoa, small palm roofed buildings that are either wall-less or small huts. There are many options to stay in these for the evening with breakfast and dinner often included, prices start at around $120 ST per night. If you are a first time diver wanting to take qualifications here you will more likely be qualified with PADI open water, you can be qualified all the way up to Divemaster if you so wish. Two tank, day dive: $360 ST (Most commonly including transfers, dive equipment, lunch and entry fees) a 10-20% further discount for every extra day you do.) Find out more about dive centres in Samoa here. As mentioned due to the unexplored nature for diving in Samoa many of the places for diving will be of local knowledge or even not at all. With this in mind these are simply examples of the known sites and tours provided. The company recommended for this island is Samoa Dive, they offer a variety of day tours to many different areas. The Double Forgotten Bay tour does fantastic justice to what diving in Samoa is all about, being spoilt by a secluded beach, private scuba guide with a backdrop of rainforests just a short ride away from Apia town. Broken Ear: As named by Samoa Dive, this dive site gave way to a myriad of colourful corals craggy reefs with plenty of healthy reef fish to go with it including huge schools of butterfly, parrot and sweetlips darting along side you while many clownfish defensively guard there anemones. Paddling over architectural coral bommies being sure to keep an eye out for green turtle and rays often spotted here. With the coral diversity those with a keen eye can easily see nudibranchs, anemone shrimps and coral crabs attempting to blend into there background. Turtle Power: This dive site is named ‘turtle power’ for a reason, a shore dive within minutes of being in the clear blue Pacific waters two turtles swam by, an incredible feat considering turtles by nature are not social creatures, coming together only to mate. By the end of the dive, nine turtles were seen which according to the leader of the Turtle Power dive, is actually less than normal. Turtles aside, expect to see flurries of pinks and reds in the form of parrot, unicorn and snapper and many of the more elusive macro life in the turrets and small caves within the reef, octopus, pipefish, lion and scorpion fish to name just a few. When diving in Samoa, for the true underwater world lovers it would be a crying shame to not visit the smaller islands of Apolima and Manono just off of main Upolu island. Pure Ocean are the provider of scuba tours here and offer a fantastic service and incredible insight to all you need to know when diving in the Samoan seas. Apolima Gardens: Starting at 6 meters the table top and coral bommies along with gently swaying soft corals and fusilier create a beautiful backdrop to an aquarium of smaller colourful reef fish. The pristine white sanded beach and the bright blue warmer waters provide fantastically vivid colours and visibility to divers. This is the perfect dive for first time divers. The Rock: Heading deeper, between 12-20 meters sits a well-known and for good reason, channel dive. Expect to see beneath the coral tables and in the reef caves lion fish, lobsters and shrimps, along with the larger marine life associates with deeper dives. 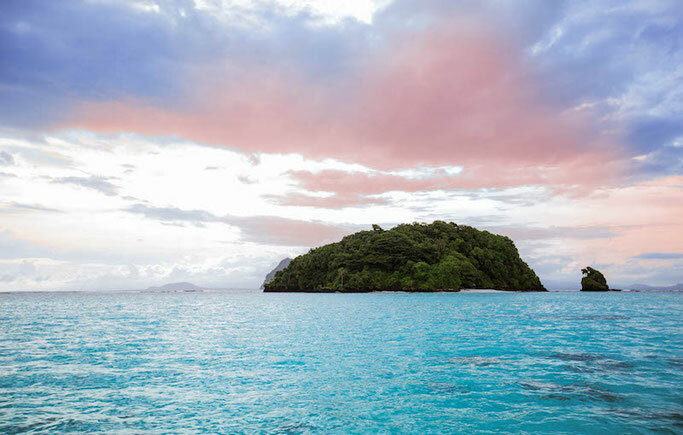 A well known site for the larger deep-sea fish napoleon, barracuda and tuna schools along with, trevalley and wrasse with the frequently appearing green turtles relaxing in the soft swells of the Samoan seas. 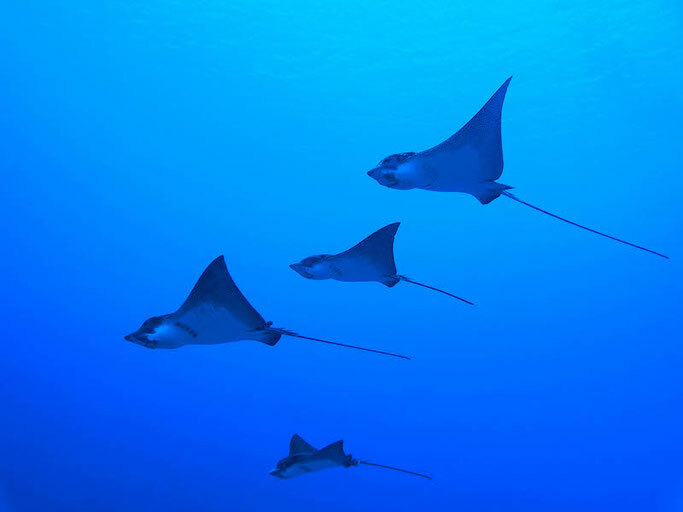 It is not uncommon getting deeper to see a variety of rays and sharks sharing the waters with you, eagles, sting, white tip and grey reef shark are a common appearance. Heading over to the smaller and less populated island of Savai’i, Upolus little brother, the island is considered ‘the true Samoa’. With only one dive provider on the island, based in Fagamalo bay, Dive Savai’i is where to head. Unfortunately with a poor experience with the company a positive recommendation can’t be given, but if you are after a wreck dive with your time in Samoa this is where to head! John Williams V: An easily accessible shallow wreck dive heading past the impressive canyons and boulders created by Mt Matavanu eruption in 1905 in which thick corals are sprouted from. This missionary, three masted boat intended to sail into Fagamalo bay around Christmas time and mistakenly sailed into the reef. Here you can see stingrays, plenty of sea turtles and many lion fish making the shadowed areas of the wreck and sea bed there home. Its bow sits at the deepest point of 25 meters, being sunk in 1881 these combined gives both variety of corals and fish alike along with opportunity for beginner divers to experience a wreck.